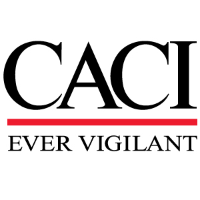 CACI is seeking a Cyber Security Engineer professional supporting the Intelligence and Information Warfare Directorate (I2WD) focusing on cyber security risk management and governance, including the integration of cyber disciplines, such as mission assurance and systems security engineering. This engineer will work closely with RF and Electrical Engineers and project stakeholders throughout the full-lifecycle of the project/program to ensure approaches, constraints, and perspectives are fully recommended and considered in risk management and policy decisions at Aberdeen Proving Grounds, MD. Analyze the development of strategy, policy, governance, and implementation guidance recommendations to more closely integrate Cyber security disciplines to enable a holistic risk management approach. Perform Risk Management Framework (RMF) Assessment and Authorization (A&A) responsibilities. Develop the documentation, validation, and accreditation processes necessary to assure systems meet security and privacy requirements. Evaluate test results, analyze risk, and develop security assessment documentation to support accreditation decisions. Perform vulnerability remediation and patch management along with troubleshooting security configurations and products. Responsible for the preparation of Information/Systems Security Plans that outline regulations and establish and implement governing computer security policy. Create a risk mitigation strategy and ensure security configurations are maintained in accordance with DoD mandated policies. Interpret RMF guidance from Authorizing Officials for clients and provide information and input for the preparation of accreditation packages. Assess the applicability of emergent vulnerabilities to individual systems and technologies. Bachelor’s or Master’s Degree in relevant area (Information Technology, Cyber Security, Computer Science) and 7 years of relevant experience. 5 years of experience with RMF and DoD certification and accreditation security controls, procedures, policies, and processes. 5 years of experience leading teams of cyber analysts. Experience with Unmanned Arial Systems/Remote Piloted Vehicles.